You may have noticed things have been a little quiet on vojack.co.uk in recent times. Well it’s certainly NOT because Jack has taken time off! It’s actually because he’s been doing a LOT of work with audiobooks recently, and now the most recent book (with Jack narrating) is on sale! 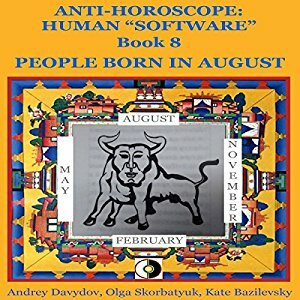 Book 8 of the series on Anti-Horoscope: “Human Software” takes a unique perspective on the personality traits of People Born in August. Find out more, hear an audio sample, or even purchase a copy – here!